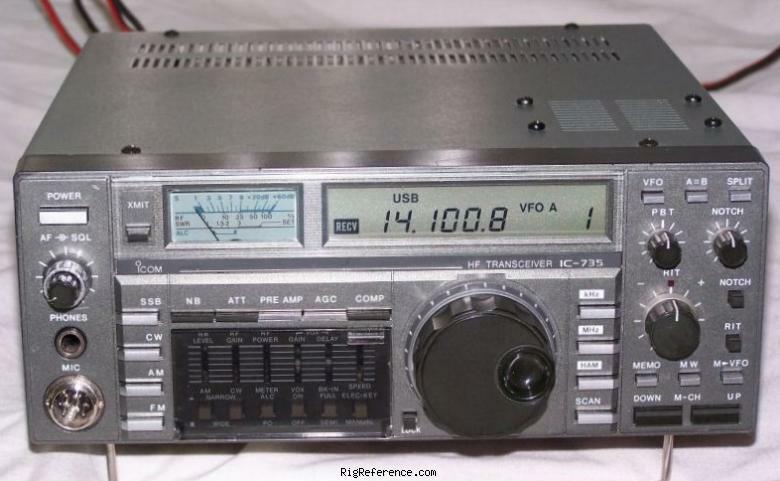 The ICOM IC-735 is a beautiful example of 1980's craftsmanship. This transceiver packs a 100 W of power into a compact housing and gives HF coverage from 160 up to 10 meters in CW, SSB, AM and FM. Receiver coverage spans 100 kHz to 30 MHz. 12 digital memories, dual VFOs, RIT, Speech compressor, full QSK and a Noise Blanker add to the user-friendliness of this model. Antenna is connection through an SO-239 jack on the back. Operates on 13.8 V DC and requires an external PSU (20 A max). Estimating the value of a rig can be challenging. We collect prices paid by real hams over the years to help you estimate the current value of the ICOM IC-735. Just bought or sold this model? Let us know what you traded it for and help other ham operators!